For 2010, the Nissan Sentra gets new headlamps and tail lights. 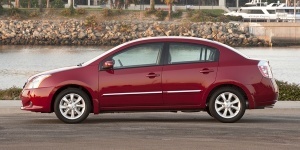 2010 Sentra 2.0 models have new grille and front-end designs. Inside are revised seat upholstery and door trim, and freshened instrument panel accents and illumination. A new 2.0 SR trim shares its equipment with the 2.0 S, but features more dynamic styling.